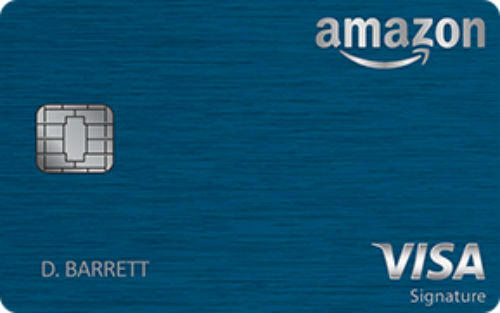 Amazon Rewards Visa Signature Card can be a profitable card in amazon.com purchases. 3% and 2% cash back rates are very good. There is no annual fee for Amazon Rewards Visa Signature Card which is making the card more profitable. $50 worth Amazon gift card after approval. You will not pay extras for foreign transactions. We recommend you to not to use balance transfer, cash advance options of the card because their fees and interest rates are high. Amazon Rewards Visa Signature Card is a credit card which you can earn good rewards from purchases on Amazon and Whole Foods Market. The card is also providing many good profits to users. We are going to mention about features of the card, rates and benefits in this review. There are also downsides of the card, you will also find detailed information about those facts here. The only sign-up benefit of this card is $50 worth Amazon gift card. You are going to earn this card just immediately after your card approved by Chase. This is not very high sign-up bonus but if you are spending too much on Amazon.com and Whole Foods Market, this can be a good option for you. You are going to earn 3% cash back for items/products/services that you purchased from Amazon.com and Whole Foods Market. This is a good opportunity. You will also get 2% cash back on restaurant, gas and drugstore purchases. All other purchases will help you to gain 1%. You can redeem these cash back for cash, gift cards and travel on chase. You will able to redeem them while you are purchasing from Amazon too. 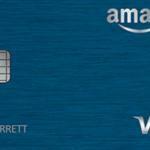 You will not need to pay annual fee for Amazon Rewards Visa Signature Card. It will help you save with the card more. The other good side of the card is foreign transaction fees. You will not also pay extras when you purchase items from abroad or another currency. You can see more at Amazon or Chase website. When we compare card’s interest rate with other chase cards, it is a little bit better. However Cash Advance APR is still very high for Amazon Rewards Visa Signature Card too. Minimum purchase and balance transfer APR are considerable. If you have excellent credit score and if you are purchasing much, you will need to compare this card with others based on your yearly expenditure. This card can be quite expensive for you if you get APR more than 20% rates. The minimum & maximum cash advance fee, maximum balance transfer fee is too much for the card. You can see rates & fees of Amazon Rewards Visa Signature Card. There are also editor scores for the card. 16.24% – 24.24% %3 back on purchases from Amazon.com and Whole Foods Market. %2 back on purchases from restaurant, gas and drugstore. %1 back on all other purchases. You misjudged the support part. Support is really poor for the card but there are also many right things that you mentioned in the review. Especially about interest rate. I use this card for some time and I am really regretful. My balance is going worse day by day because of high interest and high fees. Be careful about this card guys. You will lose 5-6 times more than they gave you as bonus and rewards. Get a low APR card much better than this.